Friday, December 6 Devotional – I Commend Joy! Consider: What was the last thing that made you really, really excited? 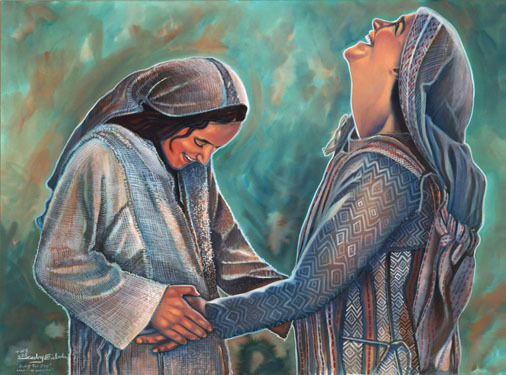 Learn: And Mary said, “My soul magnifies the Lord, and my spirit rejoices in God my Savior” (Luke 1:46–47). As we prepare for worship and learning from God’s Word in Luke 1:39-55, let’s focus on one more aspect of the opening lines of Mary’s song. Why does Mary sing about soul and spirit? She sings this way because her song encompasses her whole being, soul, and spirit. Her entire being is captured by God. This can sometimes be a little scary for those of us who are more cognitive, thinking-oriented, or stoic. I’ll love God with my mind, but my emotions, I don’t know, let’s not get carried away. God wants our spirit to be engaged in worship, and that can come particularly through song, which can be rich and deep and beautiful. Peter writes this: Though you have not seen him, you love him. Though you do not now see him, you believe in him and rejoice with joy that is inexpressible and filled with glory (1 Peter 1:8). Jonathan Edwards can say it best himself: “The things of religion are so great, that there can be no suitableness in the exercises of our hearts to their nature and importance, unless they be lively and powerful. In nothing is vigour in the actings of our inclinations so requisite [required or necessary] as in religion; and in nothing is lukewarmness so odious [extremely unpleasant].” Mary shows us a vigorous and active heart that delights in God. I hope that happens regularly for you on Sunday mornings. Apply: Pray and plan to be a prepared participant in worship on Sunday.